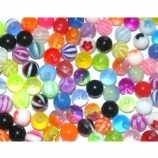 This section features some value packs of belly bars we have put together to save you some money when buying several bars! More choices to come in this section soon. 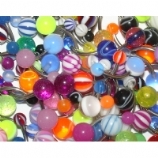 Popular choices at the moment include our pack of six glow in the dark belly bars - one of each colour! There are also several colour-coded packs of UV reactive navel bars so you can choose your favourite colour and have several different styles to wear!